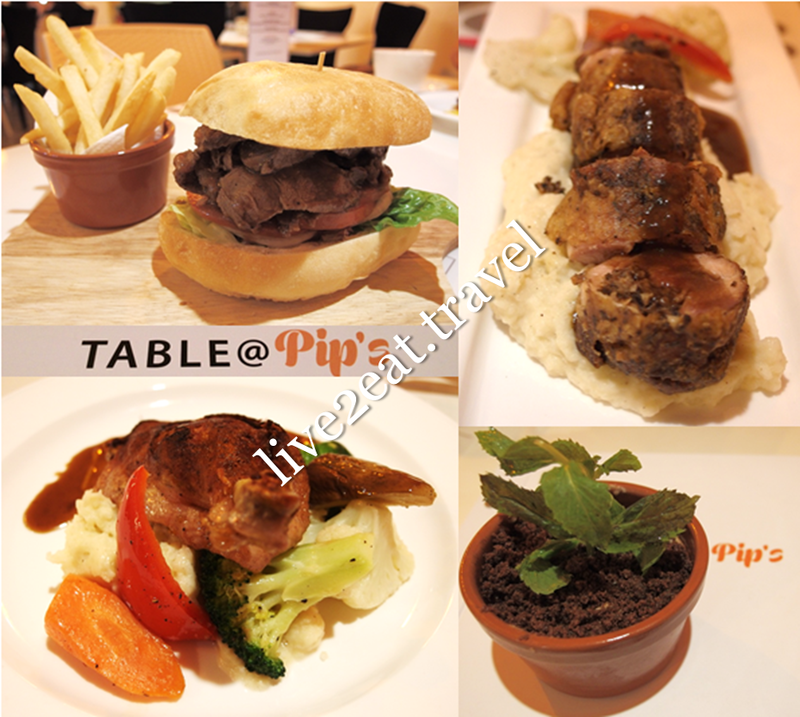 My dining companions and I met up for dinner at Table @ Pip's last Friday. Located at B2 of Orchard Central on the same floor as MEDZS, it is tucked away at a corner near the underpass to Centrepoint. Hidden from view due to the lifts in this shopping mall, the casual dining place with an open-concept kitchen emphasises the use of fresh ingredients in its unpretentious food. Items on the menu include BBQ Crocodile Rib and Italian pastas, just to name a few. 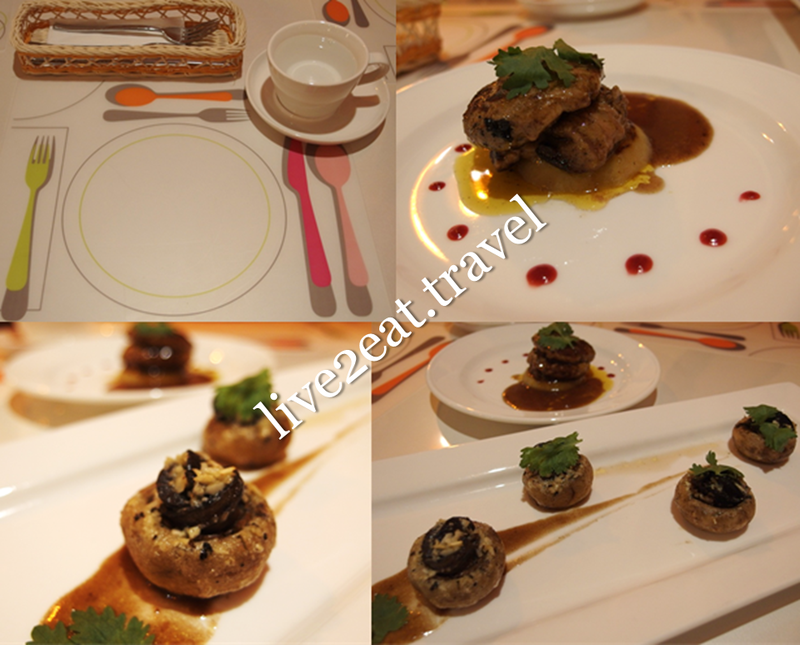 Foie Gras was lukewarm at best though I loved the sweet glazed apple that the pan-seared duck liver was served with. I have had better ones, just like Escargot Bourguignon – oven-baked Brandy snails stuffed in button mushrooms coated with garlic butter and topped with parsley leaves. With no reminiscence of mud or sand, the snails were not as plump as others I have tried. A tad chewy and bland, the succulent mushrooms were needed for taste. After the appetisers we shared, it was time for our main courses. One of my dining companions had M&B Chicken Roulade while another ate Roast Beef Burger, served with truffle fries which we sent back to the kitchen due to the lack of truffle taste in the crispy and lightly-salted French fries. Not knowing what to expect of chicken leg rolled with mushroom puree and bacon chip, we were pleasantly surprised how well everything came together. Could neither rave about nor fault the beef burger while my Duck Leg Confit was tender with crisp skin and no gamely smell or taste. It was good but could be more moist and tender – definitely not the best I have had before. Both mine and the Chicken Roulade were served with grilled bell peppers, broccoli, cauliflower, eggplant and zucchini on top of smooth and creamy mashed potato. Last but not least was dessert, Flowerpot Milo Tiramisu (served in a flowerpot with milo crumbs to mimic soil), which a dining companion found to be too sweet.